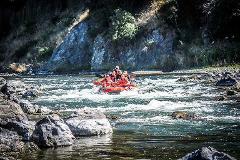 With towering cliffs, canyons, funky rock formations & awesome rapids the Grade 3 Mohaka Adventure is regarded as one of the very best river trips in NZ and with its rich NZ & Maori history provides a very unique experience. 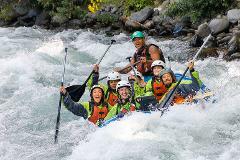 A great chance to sample the steeper cousin of our normal Tongariro white-water trip, Dam released and flowing but twice a year, this trip has heaps of thrills with superb scenery, making it one hot ticket! 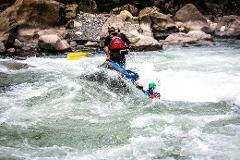 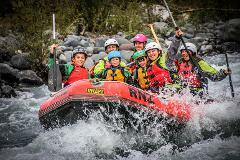 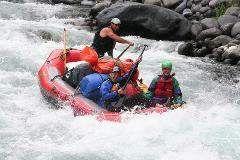 FUN, SCENIC AND SAFE FAMILY RAFTING ADVENTURES - Aorearoa (N.Z) Best Grade 2+ White Water Rafting Adventures. 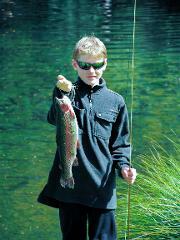 Suitable for 3years old - includes Trout Centre Entrance. 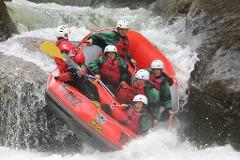 USE CODE: SAVE30 AND SAVE $30 PER PERSON!